• A comfortable, practical swimsuit that will stay on when jumping, diving, or swimming. • A towel - and sunscreen for outside! • A good pair of goggles, tinted for outside use (like sunglasses) or clear for swimming indoors. Test the fit of several, you can carefully remove them from packaging either in-store (if allowed) or at home, planning to return them if they don’t fit well. The outside of the eyepiece, which is usually cushioned, should suction on to the area, making a little ‘pop’ when you pull it off. It should not leak. Not every pair of goggles fits every face, so prepare for a little trial-and-error. • Goggles come in different sizes for men, women, youth, children. • Goggles come in different styles for triathlons, racing, leisure with a wide range of cost – for beginners, simple is better. 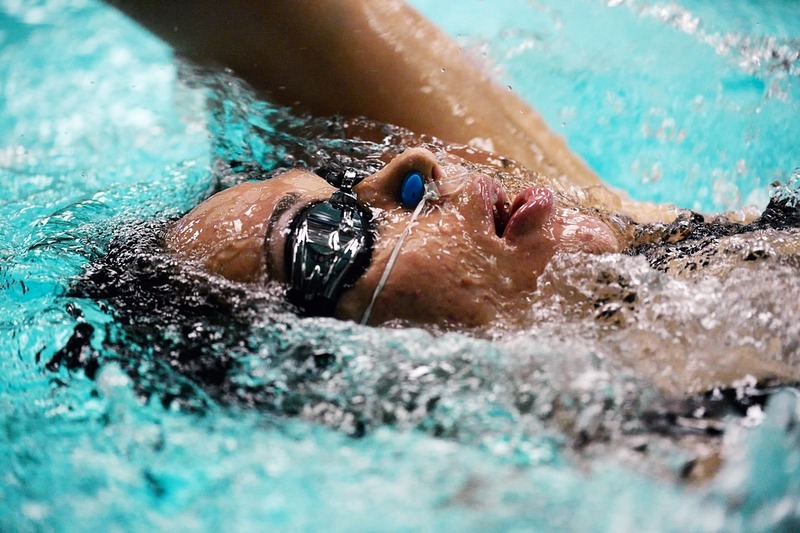 • Goggles are essential because being able to see in the water eliminates a great deal of fear in beginning swimmers. It’s important to swim where a lifeguard is present or to always have another person either in the water or on the deck close by. With young children, parents can help them acclimate to the water by splashing, kicking, and playing games like “Ring Around the Rosie” and “Motorboat.” (We have Parent Tot classes for this age, too!) When slightly older, children can practice going underwater with their mouths closed, and “monkey walking” on the side of the pool with a hand-over-hand pattern. • Breathing exercises like blowing bubbles (through nose and mouth). • “Bobbing” up and down off the bottom. The swimmer gets their whole head wet while exhaling bubbles underwater, then they jump up and take a breath when their head is above the water. Repeat. • Front float (arms extended forward in a “Superman” position) while holding breath. • Back float with eyes on the sky or ceiling, ribs lifted. Breathing continues. • Kicking on a kickboard or while holding onto the wall, keeping the head in line with the spine and the face all the way submerged or near the water’s surface. That will help keep hips and legs higher in water. 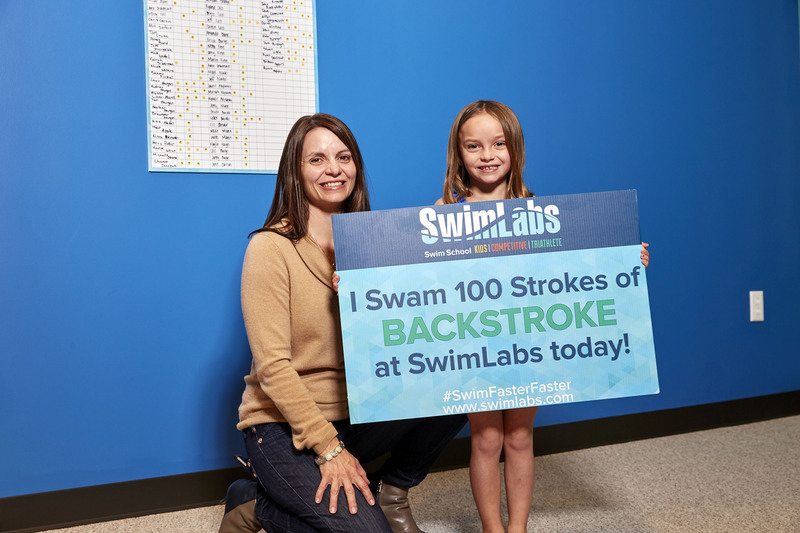 Next step: sign up for lessons at any of our swim schools! By the time a child or adult is ready to be with an instructor, there are significant advantages to taking swim lessons in a formal class setting. • The proper approach to safety skills and swim technique. 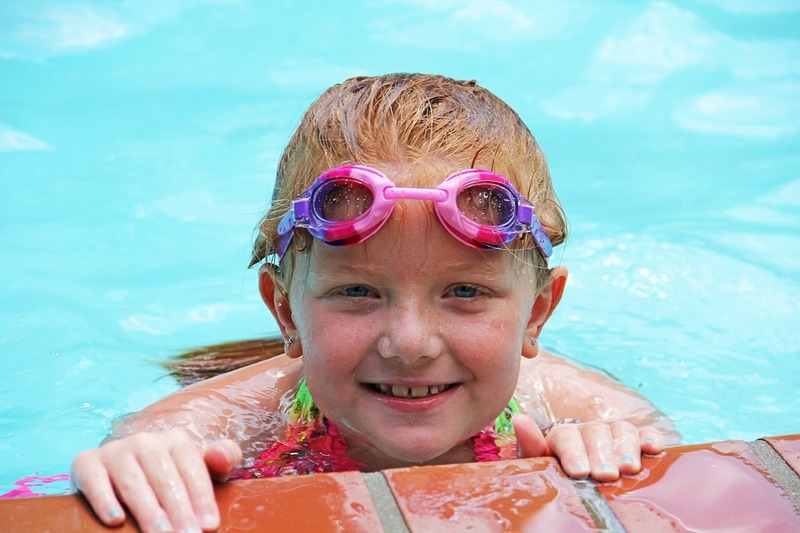 Our swim schools have lessons for beginner swimmers from toddlers to adults. Let’s get swimming!